Total PFS are the UK’s exclusive distributor for the Copy Binder 5 manufactured by Planax, (a subsidiary of Planantol adhesives in Germany). The Planax Copy Binder 5 is a unique, compact, professional glue binder. Ideal for office, in plant, copy shop or digital print environments. The Planax Copy Binder 5 could be described as the ultimate in document binding. This unique system operates at the touch of a button and binds documents up to 330 sheets in just a few seconds! 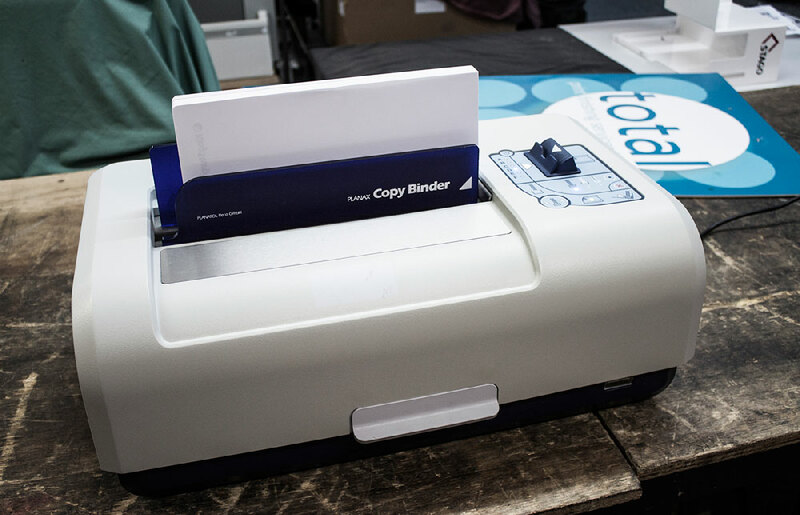 The Planax Copy Binder 5 gives you a convenient and economical in-house binding solution. 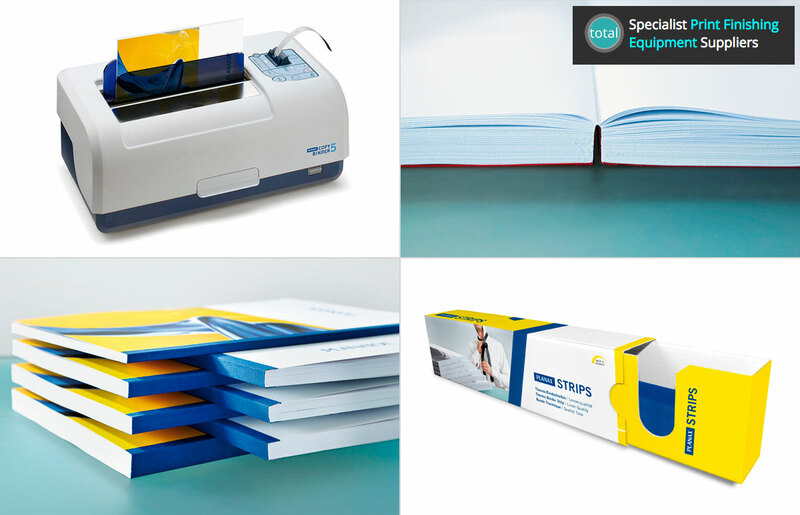 Combined with the Cobi Thermo Binding Strips, the Copy Binder 5 produces durable, professional looking documents that also have the added convenience of lay-flat ability for easy reading along with excellent stacking ability. Perfect for all presentation documents, business reports, manuals and training documents or anything you wish to bind perfectly. Ideally suited to the digital print house, high street copy shop, corporate in-plant or office, the Planax Copy Binder 5 is a semi-automatic thermo-binding system that offers a ‘one touch’ bind function for the quick and professional binding of an extensive range of documents. Available in 4 colours as standard and come in 6 different widths depending on the document thickness required. If for more than one hour no binding is performed, the device switches automatically to the energy saving standby mode. Switch on and allow the machine to heat to temperature. Once ready, the clamping jaws will open and the control panel will have the LED permanently on with the “insert binding material” and “clamping jaws ready” illuminated. Insert the sheets into the machine aligning to the right hand side of the machine. Press the start button. Insert the Cobi Strip glue side up, the Copy Binder 5 will tell you the correct size strip for the document. If for more than 3 hours no binding procedure is performed, the heating is shut-down completely. The binding process will start automatically and once completed the machine will open. Remove the document and place on the cooling rack.